Oman is a prehistoric nation which is a perfect blend of tradition and modernity. From caves of stone age and bronze age in Dereaze located in the city of Ibri to the modern day Sultan Qaboos Grand Mosque,Oman has everything to vow the variety of tourists. From being part of tales of Arabian nights to now being part of award functions and film promotions Oman has evolved tremendously in catering every one's need. Jabel Shams mountain,Jabreen castle, the Bimmah sinkhole,Wadi Bin Khalid,Wahiba sands (also known as Sharqiya sand) famous for sand dunes for SUV dune bashing and night camping at Desert Night Camps, Sultan Qaboos Grand Mosque, Alkasfah spring,Bandar Khayran Reserve,Turtle Reserve at Ras Al Jinz,beautiful city of Muscat,the list went on and on and on for the things to experience in Oman. 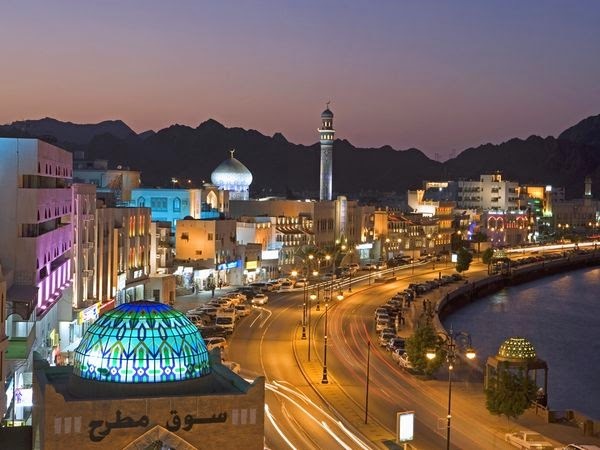 The luxurious hotels and priceless hospitality offered by Oman is the requirement of every travel enthusiast. But what attracted me the most in Oman is its Salalah region. 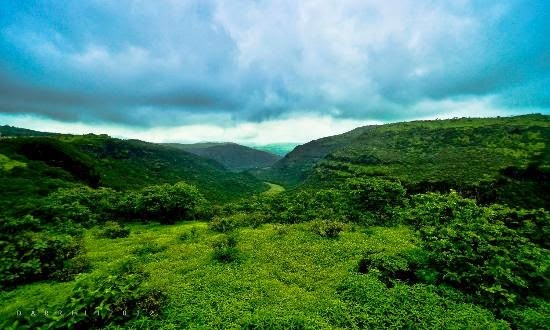 experience - the monsoon locally known as Kharif,it drapes the desert with a blanket of green and brings the temperatures tumbling down transforming wadis into a verdant paradise. The lush greenery that one witnesses in Salalah during the Kharif season( June to September) is comparable to the greenery of southeastern India giving Salalah the title of ‘Kerala of the Middle East.’ Who wouldn't like to experience a green desert but another unique thing of this region which captivates me more is frankincense due to my love of perfumes. 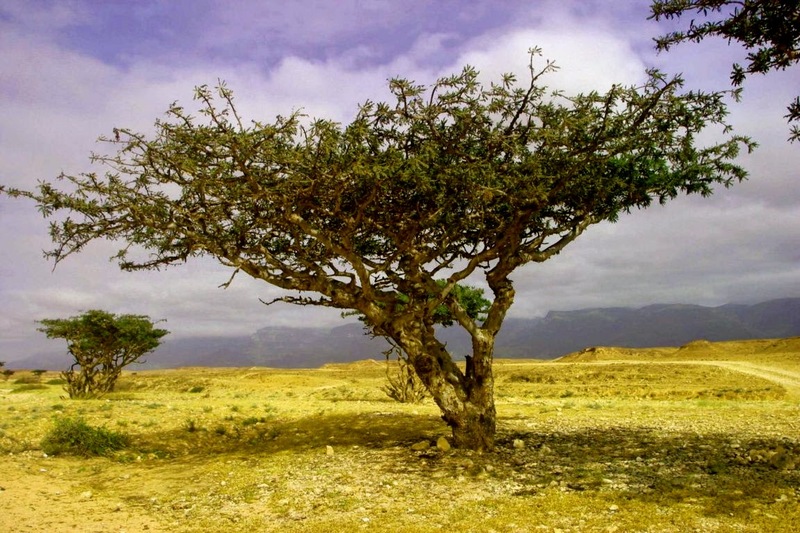 Frankincense is the aromatic resin of the Boswellia tree, which grows in southern Arabia, northern Africa and India. From Biblical times, it has been regarded as a precious substance and various books of the Bible are replete with mentions describing it as such. Frankincense is used in perfumery and medicine.The Omani researcher and historian, Abdul Qadir bin Salim Al Ghassani, mentions in his bookDhofar, the Land of Frankincense that Alexander the Great had imported huge quantities of incense from Arab lands.Even today Omani perfumes are exported throughout the world and are admired for their fragrance and quality. 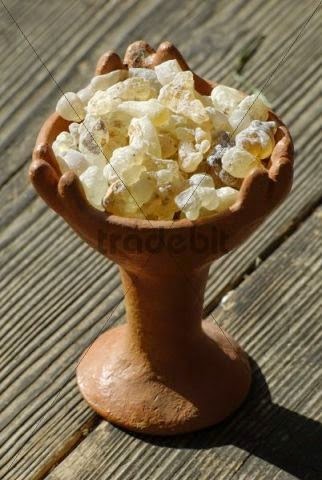 Some sources also suggest that frankincense was used round the throne of King Solomon as incense. Legend holds that when Emperor Nero’s wife died, the Emperor burned the equivalent of the whole of southern Arabian peninsula’s yield of frankincense. In the present time, frankincense is used at the Vatican in Rome.Wadi Dawkah, with its resident frankincense trees, is a UNESCO World Heritage Site. I would like to visit that place to see frankincense and hold them in my hands to experience that royalty and divinity associated with it. 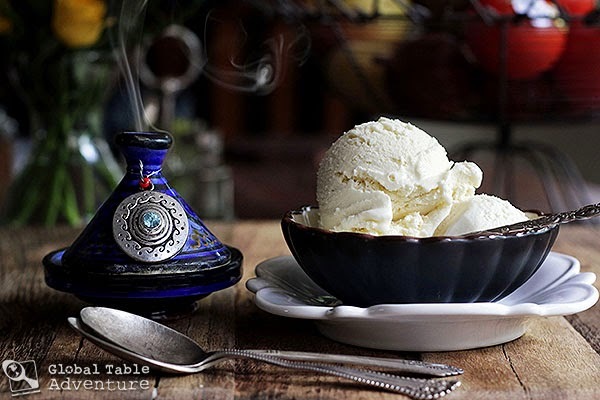 I have read about frankincense honey and ice-cream available in local markets there which I would love to taste. It is not wrong to say about Oman that 'beauty has an address'. 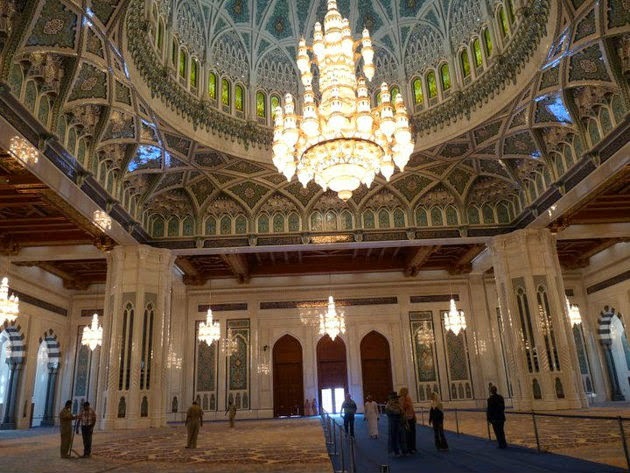 Apart from the beauty bestowed by nature in Oman the friendly and peaceful nature of Omanis is what that wins one's hearts as I learned from a facebook friend of mine working there. Surely a place to be placed at top of the list while planning for a foreign holiday.